Travel to South America and visit Peru on a family adventure through Lima, Ollantaytambo and Cuzco. Tour Peru and follow the Inca Trail to Machu Picchu. Travel to Peru on this family adventure and uncover the terraced ruins of Peru’s mystical ancient city. Explore some of South America’s most beautiful architecture in Lima before flying to Cuzco and journeying to the cultural highlights of the Sacred Valley. Acclimatise in Chinchero and enjoy a local homestay, then warm up for the Inca Trail trek with a mountain bike adventure in the Andean countryside. Rest up and recharge in the ancient town of Ollantaytambo before embarking on the iconic Inca Trail to the ruined Inca city of Machu Picchu. This 14-day tour encapsulates Peruvian culture and lets you in on the secrets of their ancient civilisation. Arrive in Lima, a city steeped in fascinating history and filled to the brim with some of South America’s most beautiful architecture and diverse cuisine. Walk the cobbled streets on a city tour that takes in the finest monuments of the colonial era, or peruse the plentiful market stalls for colourful handicrafts. Take a short flight to Cuzco before heading out on a guided walk around the city centre. Marvel at the imposing colonial cathedrals, time-worn palaces and buzzing city squares that make this one of Peru’s most pleasant cities. Pop into the museum for an insight into Inca history, and then wander out to the ancient ruins dotting the city’s surrounding hillsides. Journey through the Sacred Valley, stopping off en route in the small village of Pisac to observe traditional ways of life that are still in operation. Hone those bargaining skills at a colourful market and perhaps pick up a handcrafted souvenir. Adjust to the Andean altitude on a rarely trodden trail up through the Urquillos Valley. 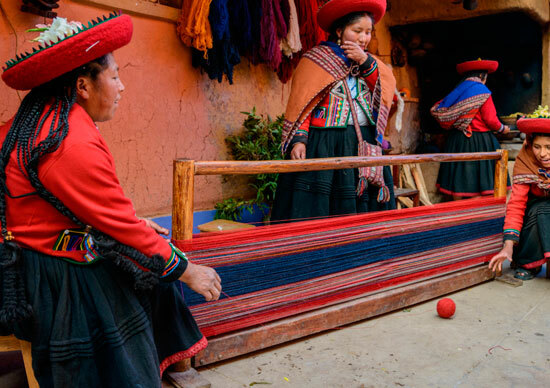 Stay overnight with a local family in Chinchero – a small traditional village whose residents are renowned for their weaving skills and attractive traditional dress. Continue on to the peaceful little town of Ollantaytambo – the only Inca stronghold ever to have resisted persistent Spanish attacks. Clamber the terraced ruins of this ancient metropolis, or nestle back in one of the quaint hole-in-the-wall eateries and watch the world crawl by at snail’s pace. 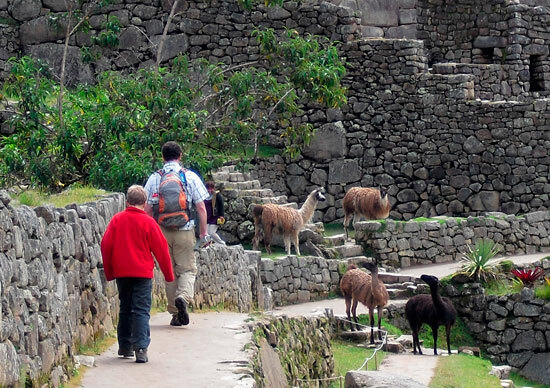 Embark on a memorable trek along Peru’s iconic Inca Trail. Cross high mountain passes, traverse lush green valleys and stalk through misty cloud forests to emerge at the majestic ancient marvel of Machu Picchu. Spend some time exploring this fascinating archaeological site in the company of a knowledgeable local guide, and try to imagine what life would have been like for the people that lived here all those centuries ago. Perhaps brave an early rise for the opportunity of catching Machu Picchu awash in soft morning light. Explore these spectacular ruins before returning to Cuzco, where there’ll be plenty of time for further exploration of this charming city. 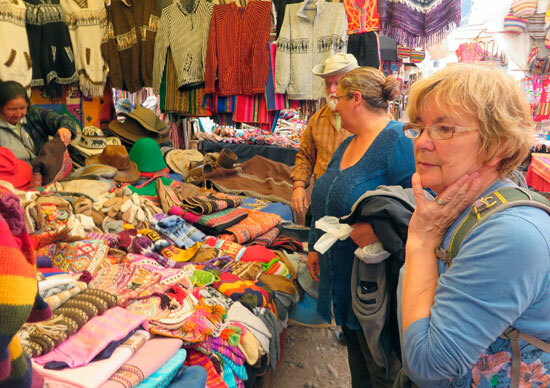 Why not scour the central markets for some unique souvenirs, take to the hills for some mountain biking or simply wile away the remaining hours on this Peruvian family adventure, meandering the cobblestone laneways. Notes: Please note that these trips are for adults and children travelling together and there must be at least one child under 18 with you. Minimum age for children on this trip is 11 years old. A discount of 10% applies on this trip to children under 15 years of age at time of travel.